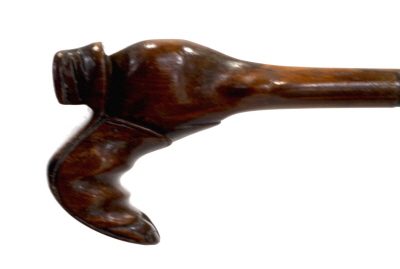 Beautiful fruit wood carved foot in a slipper folk cane. 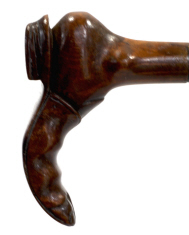 The segmented leather/ wood which has been turned to produce the unusual shaft. 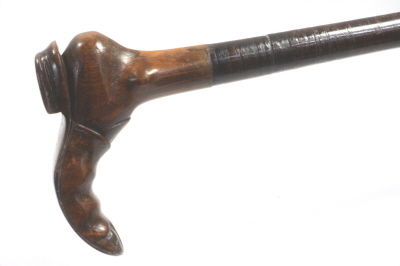 For the individual likes something unique and beautiful then this is the cane. Superbly carved throughout to the point of exposing a toe through the shoe. CONDITION:Superb throughout free from breaks,cracks, ding or dongs.